This project implements a clinical pathway for referral and treatment that includes screening, triage, and assessment; and provides adults referred to Richmond Adult Community Mental Health Service with cognitive behavioural therapy – enhanced. This is a form of cognitive behavioural therapy specifically for eating disorders. A piece of your heart: who fits where in your heart failure care? This project aims to provide proactive care for heart failure patients in the Hunter New England Local Health District. It will support people with heart failure who are transitioning from hospital to home and back into the ongoing care of their general practitioner. The CCLHD Oral Health Service is improving the provision of denture services. There will be a fairer and more efficient patient journey through the system, improved communication with patients, and clearer processes for staff. The waiting list for denture assessment will be reduced, and patients will be clinically assessed rather than rely solely on a telephone triage questionnaire. This clinical pathway, will provide a basic flow of clinical care for patients who are experiencing early psychosis, or who are at ultra-high risk of developing psychosis. The Justice Health & Forensic Mental Health Network is implementing six identified solutions to improve access to general practitioner services in correctional centres across NSW. This project pulls together multidisciplinary teams around their clients, as it has been shown that when people are included in care that is coordinated, they have better health and wellbeing. Croydon Community Health Centre implemented a new model of care, including scheduled multidisciplinary team meetings, revised documentation and communication processes, as well as training for emergency department and generalist nursing staff. 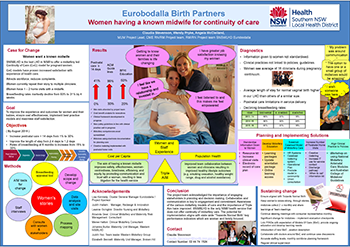 This project developed a new model of care, where pregnant women at Eurobodalla Maternity Service were offered a known midwife who was an integral part of their antenatal, birth and postnatal journey. This project developed a palliative care referral and triage process and education program in SLHD, with a focus on services delivered in the community. This project defined the role of the resource representative and increased awareness of this role among staff at Northern Sydney Home Nursing Service, to ensure patients are referred to the most appropriate clinician. 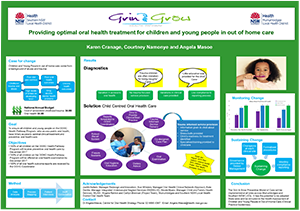 A new model of care was developed to provide preventive oral health care for children and young people in the Out of Home Care Health Pathway Program. The model includes a streamlined referral process to public oral health services, a matrix of clinical care and simplified reporting procedures. This project will redesign the SLHD Needle Syringe Program in partnership with service users and staff, to expand access to primary healthcare services and offer psychosocial support for service users with complex needs. St Vincent’s Hospital Sydney reviewed its Hospital In The Home service and implemented a number of improvements, including care pathways, inclusion and exclusion criteria, online referral processes, communication among healthcare teams and shared care planning with patients. 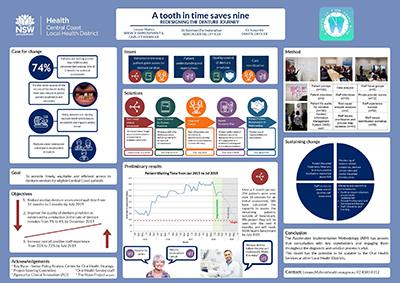 This project examined the causes of a substantial decline in general practitioner antenatal share care on the Central Coast over the last 15 years and implemented solutions to reinvigorate the model of care. This project streamlined its booking and referral processes, standardised templates and introduced electronic systems to ensure all patients received timely and appropriate care. Sydney Local Health District developed an electronic oral health assessment form that provides appropriate information to the oral health clinician, as well as a comprehensive summary that can be easily understood by the participant, their carer and general practitioner. The project will identify barriers to compliance and introduce solutions that aim to improve nursing assessments for new admissions at St George Hospital. General Practice Share Care Model is the chosen model of care for about half the pregnant women at the Royal Hospital for Women. The midwives found this model limited the depth and number of discussions about topics that prepare women for childbirth and motherhood. Other options of care were explored and group antenatal care – or Pregnancy Centred Care was developed. This project used email newsletters and social media to engage parents and carers, with recipes, tips and information on healthy lunchboxes. North Coast Primary Health Network created an outreach clinic that was co-located with a local soup kitchen in Lismore, to bring medical and nursing care to people in need. CCLHD standardised the process of documenting care for clients with leg ulcers within the ComCare system. The IVALUE initiative supported the implementation of new orientation and accountability processes to improve the way Orange and Cowra Community Health Services engage and utilise Aboriginal Health Workers to provide clinical services to Aboriginal clients accessing care. 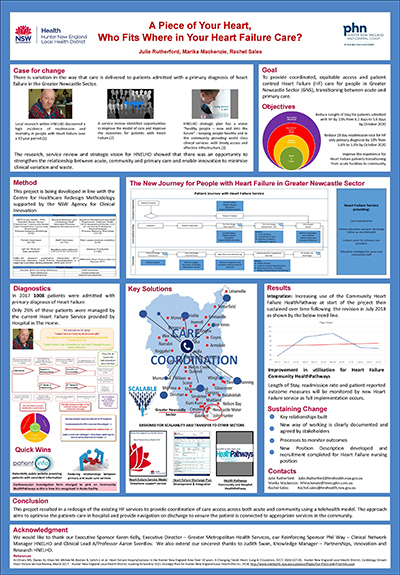 This project developed a standardised, direct referral pathway for public colonoscopy services from the general practitioner. The endocrine department at Sydney Children’s Hospital Randwick implemented education strategies for clinicians and families, to increase awareness of alternative support options. Northern NSW Local Health District developed an algorithm that was applied to the electronic medical records of patients at Bugalwena General Practice, to identify whether they had early-stage chronic kidney disease. This project designed and implemented a rapid access colonoscopy service for positive faecal occult blood test referrals in HNELHD. BreastScreen NSW engaged Culturally and Linguistically Diverse (CALD) communities, through art workshops that allowed participants to visually express their feelings about breast screening. 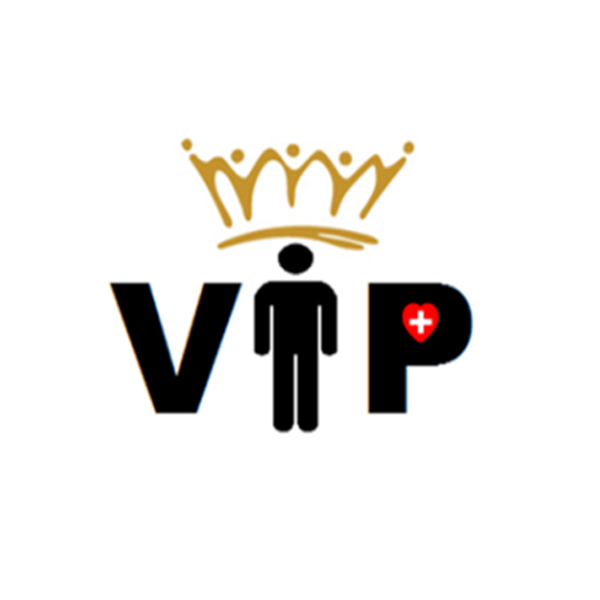 The VIP project developed a strategy to identify Very Intensive Patients (VIPs) who are at high risk of re-presenting to hospital and implemented methods to address their medical and psycho-social needs. This new model of care has reduced the need for hospital-based care by using interagency partners in the primary care sector to provide support for VIPs in the community. A NSW Health public notice campaign was implemented using stakeholder engagement and social marketing strategies, to increase awareness of the smoking ban in commercial outdoor dining areas enacted on 6 July 2015. The Cowra ‘Let’s Bring Healthy Back’ nine-week program used a multidisciplinary approach, using the expertise of a dietician, social worker, exercise physiologist, Aboriginal health worker and community nurse to help the Cowra community lose weight and improve their health and wellbeing. Grafton Base Hospital encouraged general practitioners to follow a new care pathway for patients requiring an ascitic tap procedure, to reduce avoidable emergency department admissions and improve the patient experience. 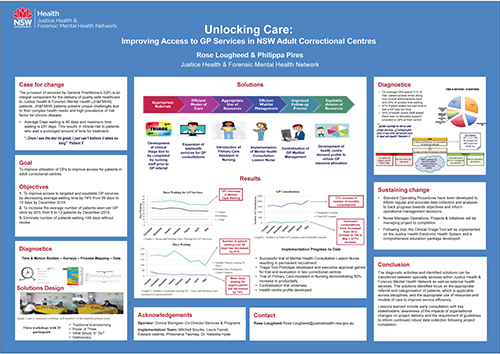 Royal North Shore Hospital redesigned the process of transferring information from the hospital to primary and community health services, including reintroducing a transfer of care risk screening tool and expanding the acute and post-acute care liaison role. This project implemented a screening and triage tool within the outpatient cancer service at Illawarra Shoalhaven Local Health District, to improve the care coordination of patients during their treatment journey. The project aims to address barriers that impact the attendance of women aged 50 to 69 years in the BreastScreen program, including health literacy, access for Culturally and Linguistically Diverse women and awareness of the program among General Practitioners in Sydney Local Health District. 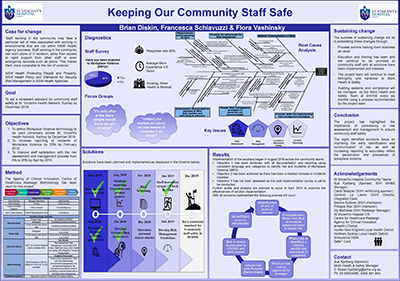 This project developed an integrated model of care that facilitated early discharge from inpatient units and transferred care back to the community, with home-based treatments provided by an Acute Care Team. This project aims to increase awareness of the benefits of mammograms among General Practitioners and women in Western Sydney, through education and training initiatives. This project is developing streamlined health pathways, improving operational systems, standardising diagnostic services and developing an education framework for health professionals to provide integrated care for children with diagnosed or potential food allergies. This Dubbo Diabetes Integrated Care Project works across sectors to ensure an integrated approach to the care of Aboriginal people with diabetes. Fundamental to this approach is giving Aboriginal people an authentic voice in the way care is delivered to them. The project focused on planning, coordinating and integrating diabetes services in the local community and primary healthcare system. Newly diagnosed patients with Type 2 Diabetes Mellitus (T2DM) will be managed using appropriate referral pathways led by their general practitioner. This project involves the development of a training package aimed at youth workers who may work with young people at risk of hepatitis C.
The Save the Date to Vaccinate campaign is part of a long term strategy to improve childhood vaccination rates in NSW. The key message of the Save the Date to Vaccinate campaign focuses on ‘on time’ immunisation, addressing a lack of understanding about the importance of vaccinating children in line with the recommended immunisation schedule. Active Kyogle was a three-year federally-funded chronic disease prevention project which relied on the community to decide the health priorities and collaborative partners to plan and deliver the interventions. Active Kyogle empowered the community to implement a health promotion program to prevent chronic disease focusing on projects that increase healthy eating, physical activity and reducing social isolation. To establish culturally appropriate mechanisms to ensure MNCLHD engages and works with Aboriginal patients, families and communities to plan and evaluate health services and to ensure effective partnerships with Aboriginal communities are established to improve the quality and safety of care provided. Bega Valley Health Service Executive highlighted the need to develop sustainable outpatient clinics across the health service to improve patient access and experience and meet the demands of the community while being cost effective and aligning processes with Activity Based Funding criteria. This project aims to work with acute, community and primary care services to better support patients with chronic heart failure to live well, at home. Stir it up! is a community-based partnership project that provides training and support for community members to promote healthy eating to their local communities. Stir it up! is coordinated by the Health Promotion Service and Healthy Cities Illawarra. The key partners are TAFE Illawarra, Baptist Community Services and Wollongong Church of Christ. The MAx Clinical Redesign project aims to improve clinical processes of multidisciplinary referral, intake and assessment for children with multiple risk factors and vulnerabilities, with a focus on children entering Out-of-Home Care (OOHC).